Local: Unipol arena (1, 2). Sandra deidda (italia), Sascha grunder (suiza), fulvio frixione (italia). Sandra deidda (Italia): pistas webpage, pistas. Sascha grunder (suiza): webpage, pistas. Fanpage Deutsche Agility Nationalmannschaft (1, 2). yasuhiro ohori (1, 2, 3). thomas raczka & curly (facebook Anne-Charlotte Ducanos). ♦ official results agility, agility + jumping. ♦ best lap monica & chica 35.631. ♦ unofficially 1- monica & chica, 2- jenni & lilli, 3- vakonic & fiona, 4- jouni & neela, in agility. ♦ unofficially: 1- vakonic & fiona, 2- vakonic & ikea, 3- jouni & neela, 4- Lyubov Zvorygina & bru in agility + jumping. ♦ unofficially: 1- vakonic & fiona, 2- jouni & neela, 3- Lyubov Zvorygina in agility + jumping. ♦ unofficially: 1- marusa & kaili, 2- theresa & 3- monica & chica, 4- christina & lu, 5- garrett & swagger in agility + jumping. ♦ unofficially 1- monica & chica, 2- jaakko & dao, 3- garrett & swagger in agility. ♦ unofficially: 1- garrett & swagger, 2- ivona & kluska, 3- jaakko & dao in agility + jumping. ♦ best lap: jaakko & dao 37.861. ♦ best lap: eve lepik & dream 38.844. ♦ unofficial results: working dog (1, 2), google drive (agility, agility + jumping ). ♦ agility individual large: course, running order. ♦ video : silvia trkman & le (youtube (IE), facebook (another point of view)). ♦ best lap: trkman & le (slovenia) 36.956. ♦ unofficial results: 1- trkman & le (slovenia), 2- andy de groote & deedee (belgium), 3- daniel schroder & nick (germany) in agility+ jumping. ♦ unofficial results: 1- trkman & le (slovenia) 36.956, 2- andy de groote & deedee (belgium) 38.189, 3- martin eberle & kayo (switzerland) 38.267 in agility. ♦ agility individual medium: course, running order. ♦ the official results use the time of disqualified teams to order them; that means google drive's spreadsheet has some differences. The same happened with team results: when there are two disqualifications, the original results add the three times of valid dogs (i.e. if team A has 3 disq and a clean run with 35.416, the time is bigger that 35.416; if team B has 3 disq and a clean run with 40.22, team B can be placed before than team A depending on the times of the disq dogs in each team). ♦ best lap: svensson & inna (sweden) 35.849. ♦ unofficially: 1- vlad & liebe (italia), 2- roland kolenko & amy (slovenia), 3- samir & lali (brasil) in agility + jumping. ♦ unofficially: 1- svensson & inna (sweden) 35.849, 2- ganz & eva (italia) 36.051, 3- vlad & liebe (italia) 36.458 in agility. ♦ agility individual small: course, running order. ♦ andy de groote tenia 2 faltas. ♦ official results for agility, agility + jumping. ♦ best lap: martina klimesova & kiki (rep. checa) 37.159 seguido de andy de groote (belgium) & deedee (border collie) 37.472, silvia trkman & le (slovenia) 37.674, natasha wise & dizzie (gran bretaña) 37.923. ♦ unofficially: 1- switzerland, 2- czech rep., 3- slovenia, 4- france, 5- russia, 6- usa in agility; 1- czech rep., 2- switzerland, 3- slovenia, 4- russia, 5- USA, 6- estonia in agility + jumping. ♦ unofficially: 1- switzerland, 2- slovenia, 3- france, 4- russia, 5- usa in agility; 1- switzerland, 2- slovenia, 3- russia, 4- USA, 5- estonia in agility + jumping. ♦ unofficially: 1- france, 2- russia, 3- usa, 4- estonia, 5- canada, in agility; 1- russia, 2- USA, 3- estonia, 4- france, 5- canada in agility +jumping. ♦ unofficially: 1- france, 2- estonia, 3- canada, in agility; 1- estonia, 2- france, 3- canada in agility +jumping. ♦ best lap: andy de groote (belgium) & deedee (border collie) 37.472. ♦ unofficially: 1- france, 2- canada, 3- finland, in agility; 1- france, 2- canada, 3- finland in agility +jumping. ♦ Sanni Kariniemi (finland) & goa 38.205. ♦ unofficially: 1- canada, 2- germany, 3- portugal, in agility; 1- canada, 2- portugal, 3- germany in agility +jumping. ♦ best lap: zsuzsa veres (portugal) & eta (croatian sheepdog) 38.937. ♦ best lap: Hanna Wennersten Nilsson (sweden) & liam 39.25. ♦ unofficially: 1- germany, 2- sweden, 3- luxembourg, in agility; 1- germany, 2- sweden, 3- netherlands in agility +jumping. ♦ unofficially: 1- luxemburgo, 2- brasil in agility; 1- netherlands, 2- southafrica, 3- luxemburgo in agility +jumping. ♦ best lap: vivy (brasil) & jem (shetland) 39.624. ♦ unofficial results: working dog (1, 2), google drive for agility (ordered individually, ordered by team), google drive for agility + jumping (ordered individually, ordered by team). ♦ agility team medium: course . ♦ unofficially 1- lafond (france) & felicity 31.434, 2- andrea (italia) & koi (parson) 31.824, 3- claudia (suiza) & jet (shetland) 31.886, 4- kolenko & amy 32.744, 5- vakonic (slovakia) & diana (shetland) 32.838. ♦ unofficially 1- andrea (italia) & koi (parson) 31.824, 2- claudia (suiza) & jet (shetland) 31.886, 3- vakonic (slovakia) & diana (shetland) 32.838, 4- vlad (italia) & liebe (parson) 32.932, 5- samir (brasil) & lali (parson) 33.197. ♦ 1- andrea (italia) & koi (parson) 31.824, 2- vakonic (slovakia) & diana (shetland) 32.838, 3- vlad (italia) & liebe (parson) 32.932, 4- samir (brasil) & lali (parson) 33.197. ♦ best lap andrea (italia) & koi (parson) 31.824. ♦ 1- andrea (italia) & koi (parson) 31.824, 2- vakonic (slovakia) & diana (shetland) 32.838, 3- samir (brasil) & lali (parson) 33.197. ♦ jumping individual small: course . ♦ 1 run left and bitchs in heat/season. ♦ best lap claudia zenner (alemania) & wii (berger) 31.278; best lap (pero con 1 falta) martina klimesova & kiki 30.155. ♦ aparentemente, raczka & curly tenian una falta en el muro. 1- claudia zenner (alemania) & wii (berger) 31.278, 2- manuela (suiza) & win (berger) 31.653, 3- barbara (czech rep.) & safi (mudi) 31.699, 4- andy de groote (bélgica) & deedee (border collie) 31.731. ♦ 1- claudia zenner (alemania) & wii (berger) 31.278, 2- raczka (francia) & curly (berger) 31.637, 3- manuela (suiza) & win (berger) 31.653, 4- barbara (czech rep.) & safi (mudi) 31.699, 5- andy de groote (bélgica) & deedee (border collie) 31.731. ♦ 1- claudia zenner (alemania) & wii (berger) 31.278, 2- raczka (francia) & curly (berger) 31.637, 3- barbara (czech rep.) & safi (mudi) 31.699, 4- andy de groote (bélgica) & deedee (border collie) 31.731, 5- petra (czech rep.) & lara (shetland) 31.887. ♦ 1- claudia zenner (alemania) & wii (berger) 31.278, 2- raczka (francia) & curly (berger) 31.637, 3- andy de groote (bélgica) & deedee (border collie) 31.731 . ♦ best lap raczka (francia) & curly 31.63; best lap (pero con 1 falta) martina klimesova & kiki 30.155. ♦ 1- raczka (francia) & curly (berger) 31.637, 2- andy de groote (bélgica) & deedee (border collie) 31.731, 3- petra (czech rep.) & lara (shetland) 31.887, 4- schröder (alemania) & nick (shetland) 32.199, 5- trkman (slovenia) & le (berger) 32.23. ♦ 1- andy de groote (bélgica) & deedee 31.731, 2- schröder (alemania) & nick 32.199, 3- trkman (slovenia) & le 32.23. ♦ 1- schröder (alemania) & nick, 2- trkman (slovenia) & le, 3- molano (colombia) & hemi. ♦ best lap (pero con 1 falta) martina klimesova & kiki 30.155. ♦ silvia trkman & le 32.23. daniel schröder & nick 32.199. ♦ up to the prize ceremony the first place in agility was for italy; then france might have faults but we did not detect them and they don't appear neither at working- dog's results. 1- italy, 2- england, 3- USA. ♦ matej cucek & jazz (slovenia) run at the end because jazz is in season. ♦ unofficially the first places in agility + jumping are for usa, finland, estonia. 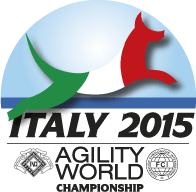 ♦ unofficially the first places in agility are for netherlands, sweden, japan. ♦ best lap: roy fonteijn & lieke (holanda) 43.041. ♦ best lap: Peter Assendorp & nilo (holanda) 43.633. ♦ unofficial results: working dog (1, 2), google drive (ordered individually, ordered by team). ♦ 1- czech rep., 2- switserland, 3- poland, 4- slovenia,5- hungría. ♦ unofficial results: working dog, googledrive (ordered individually, ordered by team). ♦ course for jumping team medium. ♦ the videos from working dog are only for people that payed for the live stream and that's reasonable but also the videos on facebook are private and people can only see them if they are friends. it would be nice that some of them were public so everyone (with a facebook account) can see them and there's no need of a friendship just to see a video. ♦ videos: lisa frick & cody, equipo USA, matej cucek, zeljko gora, marje piiroja, jaakko, susan garrett. (punsi and zorro from finland, fleece and gwen from switzerland). ♦ videos de francia: bielle bidalot, equipo large (1, 2). ♦ hay comentarios de que las alturas serían 30, 40 y 60 cm. ♦ course for jumping team large.